Bethesda has been widely lambasted for its latest game, open-world MMO Fallout 76 — both for releasing the game when it was nigh-unplayable, and for allegedly refusing to issue some gamers refunds. This tidal wave of censure begs the question: would the company still be having this problem if it’d released its game on Steam rather than its own platform? If you’re even passingly familiar with gaming media and news, you’ve probably heard some scuttlebutt about just how bad Fallout 76 turned out to be. The past week in particular has been nothing but a litany of increasingly irritated complaints from gamers. Remember when Bethesda issued that letter warning gamers ahead of time the game was going to be super buggy? Their breezy “we anticipate turbulence on this flight” attitude seems wildly optimistic in retrospect. It wouldn’t be overstating it to say the weeks post-launch have been a complete disaster for Bethesda. 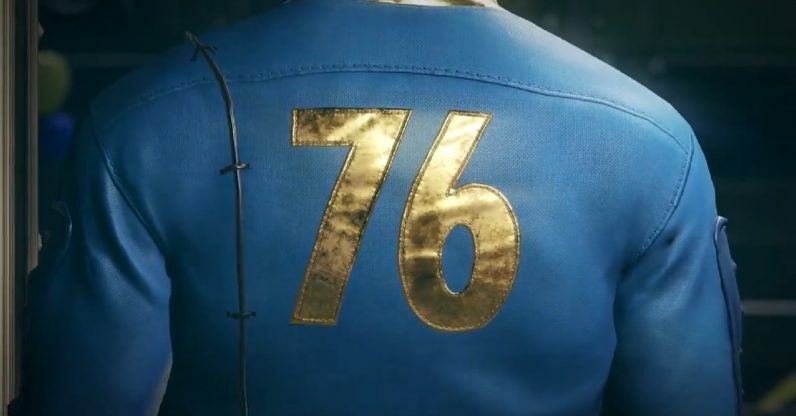 You can’t turn a corner in the gaming communities on Twitter and Reddit these days without tripping over a new problem with Fallout 76. Just this morning it was a roving homophobic death squad Bethesda was forced to ban. The company has since begun issuing a refund in the form of in-game currency. The amount granted wasn’t enough to buy much in-game — not even the outfit that includes an actual canvas bag. This marks the first time a Bethesda game has released exclusively on its own launcher, rather than on the Steam platform, despite the company’s other games being some of the most popular available on the latter site. While the company hasn’t said the reason it skipped Steam with this release, I’m going to take a guess and say it’s because of the 30 percent cut Valve allegedly takes for all game sales. But could at least one of the many, many controversies around the game have been mitigated by releasing the game on Steam instead and just tanking the 30 percent hit? The biggest problem with the Fallout 76 launch is that Bethesda has apparently not issued some gamers their requested refunds. Reports of this began appearing online shortly after the game‘s launch and have been steadily pouring in ever since. The given reason was that, since the players had already downloaded the game, they weren’t eligible for a return. Migliaccio & Rathod LLP is currently investigating Bethesda Game Studios for releasing a heavily-glitched game, Fallout 76, and refusing to issue refunds for PC purchasers of the game who found it to be unplayable because of its technical problems… Gamers who have tried to receive a refund because of the game’s myriad glitches have been unable to do so since they downloaded the game, leaving them to deal with an unplayable experience until patches bring it back to a playable state. The same page has since been amended to say the firm is also investigating the nylon bag issue. If the firm chooses to move forward with complaints, Bethesda and parent company ZeniMax could be hit with a lawsuit. Perhaps the most confusing part is that the company’s refund policy is anything but clear. If you search for it, all you’ll come up with on the official site is a page that deals with store items. For digital downloads, it only has a UK/EU-specific rule saying. “If you want to download digital content within the 30-day cancellation period, you must agree to waive your cancellation rights.” I can’t find anything relating to customers anywhere else in the world. I’m by no means saying the company should have dumped a buggy, hard-to-play game on Steam and called it a day. I’m saying that Steam‘s policies, while costly for anyone trying to sell via their marketplace, do provide a more reliable method for interacting with unhappy gamers. If nothing else, it might be a good reason for Bethesda to consider having Elder Scrolls 6 join its older siblings over in Valve’s library.